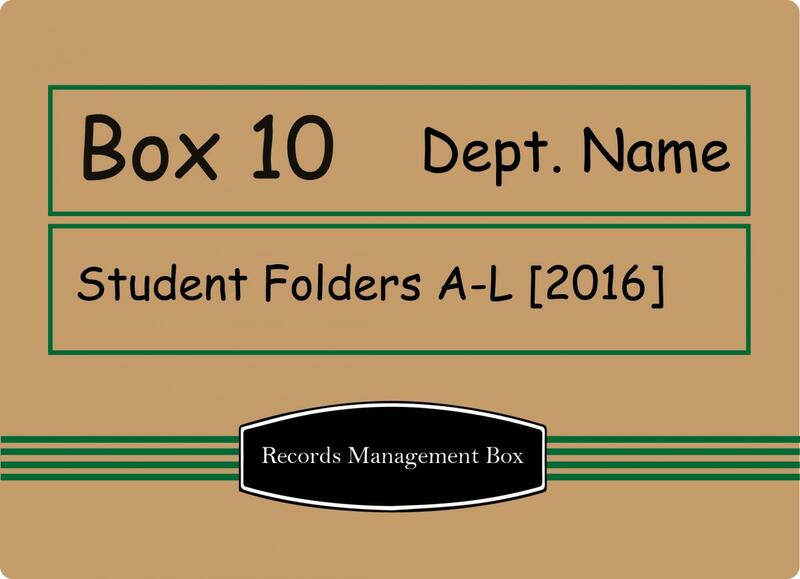 Records Management Services provides free storage of inactive records to eligible University departments on all three campuses. Departments may request their boxes and files stored at the University Records Center at any time. Departments are responsible for accurately identifying and communicating the contents of the boxes they submit for storage and authorizing the disposition of these records when they meet retention. Upon disposition, Records Management Services absorbs shredding/recycling costs and coordinates the transfer of any archival records to the University Archives. Save in the Excel format - we cannot accept the form in PDF! E-mail the completed form to urc@uw.edu. Include your department's name in the subject line. May I see an example of a completed storage request form? Yes! Click here to download an example of a storage request form that is filled out properly. What is the Record Group Number? The Record Group Number is the unique number assigned to your office by Records Management Services. Click here to look up your office's Record Group Number. If you do not see your office, please contact us at urc@uw.edu or 543-0573.
Who do I list as the Records Coordinator? The Records Coordinator is the person designated in your department to be the main liaison with University Records Management Services. They will receive the Accession Confirmation report confirming the receipt, retention and storage location of the boxes on the storage request form. If you are not sure who your Records Coordinator is, please contact us at urc@uw.edu or 543-0573. What do I put in the description field? The description should include the record series (type of records) in the box and any other information which will be useful for tracking the box -- budget numbers, alpha and numeric ranges, project names, etc. You may find it useful to keep a complete inventory / detailed packing list in a separate document for your reference. For research records, please include the name of the study and the PI. What is the trigger date?